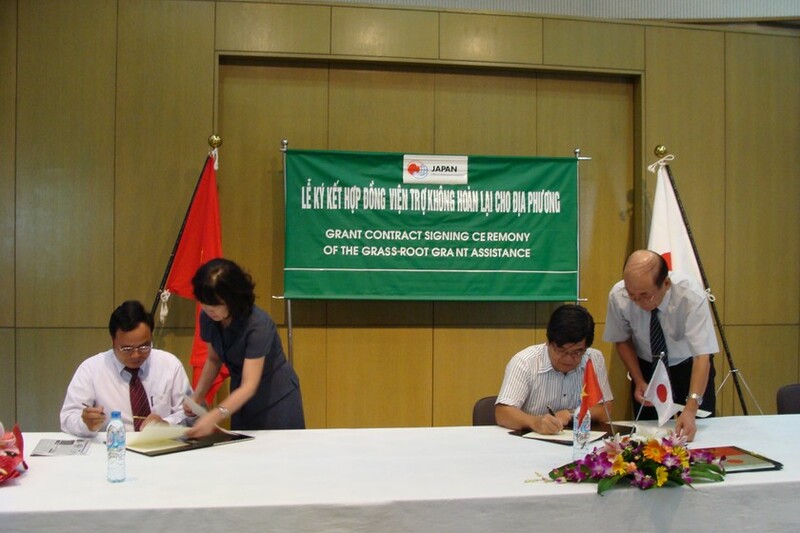 The Embassy of Japan in Vietnam provided over US$177, 000 to Vietnam for two projects as part of an ongoing assistance program in a meeting at the office of the Japanese Embassy in Hanoi on July 8. 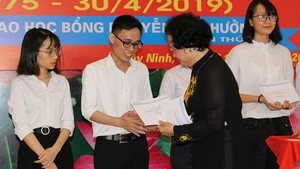 The fund will be used to construct a new building (6 classrooms) for two schools in in nothern Province of Nam Dinh and central Province of Ha Tinh in order to improve the local educational environment, eradicate the practice of learning in shifts and increase learning hours for pupils. Dong Hai Primary School is in Gia Pho Commune - a mountainous area near the Laos border in Ha Tinh Province of Central Vietnam, where natural conditions are very severe with 4~6 storms every year and 24 percent of the total population, (7500 people 1870 households) are poor and 35% are ethnic minorities. The Hien Khanh Commune Primary School of Hien Khanh Commune in the northern province of Nam Dinh, which has an 18.5 percent poverty rate and average annual income of only US$200, has been repaired many times since its establishment in 1968 and present day.